It was somewhere in February when we got reports that Apple is going to come up with a surprise and that surprise was Apple iPad 3 which according to the reports then would be revealed in Fall. The reports came at time when Apple had not even officially launched its iPad 2. Anyhow, it is confirmed now that the report was nothing more than a rumor. The recent reports suggest that there is no third generation iPad release is expected in the current year for the fact that the Chinese part suppliers for Apple haven’t received any orders from the Apple for its iPad 3. Sources from touch panel makers pointed out that Apple recently released its latest tablet PC plan and is asking the panel makers to provide products that are capable to support higher image quality than the current iPad 2 and Apple may even choose AMOLED panel or panel that support Full HD standard to accomplish the plan. However, since the project is still at the initial planning stage, the actual products are unlikely to appear in 2011. Apparently, it looks that there is some obvious reasons that force Apple to push back the release date for iPad 3. It is more likely because the iPad 2 has done remarkably well in a short span of time and still holding a major share in the market and company may feel to let iPad 2 go for a while in the market before coming up with its successor. Another more important aspect that Chinese suppliers refer us to is that if Apple still intents to release its iPad 3 in Fall 2011 then the third generation iPad may come with some minor upgrade such as improved communication system. 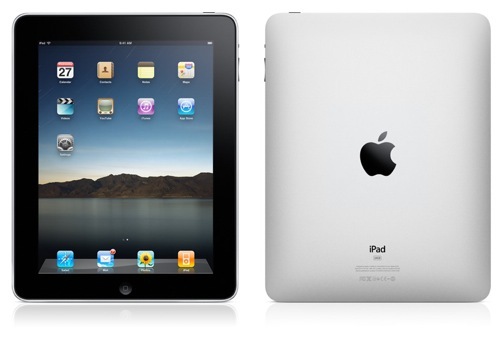 There are further reports that Apple and Verizon collaboratively thinking of a 4G/LTE iPad. Some sources pointed out that since AMOLED technologies are still mostly controlled by Korea-based Samsung Electronics, while Apple has competition with Samsung over tablet PC sales, if Apple is adopting AMOLED panel into its device, Apple would be facing a great risk having the key technologies being held by its competitors. We can conclude all this by settling on a point that there are no signs of third generation iPad release in the year 2011 as Chinese part suppliers have said clearly that they have yet not received any orders from the company so as to assume that the production of third generation iPad is underway. We have to wait and see where these reports about iPad 3 would end up. We will keep you update as more news develops.